"There is nothing so wrong with you that what’s right with you can’t fix” -Insoo Kim Berg"
Dr. Biva Naik is a Psychologist with particular interest in self-harming behaviour and Mood Disorders. Over the years, Dr. Naik has become passionate about improving relationships, working with couples in the varying stages of their relationship. Dr. Naik provides cutting-edge and innovative therapy by consistently keeping up with the latest research and developments in psychology, through regular attendance of conferences and training. 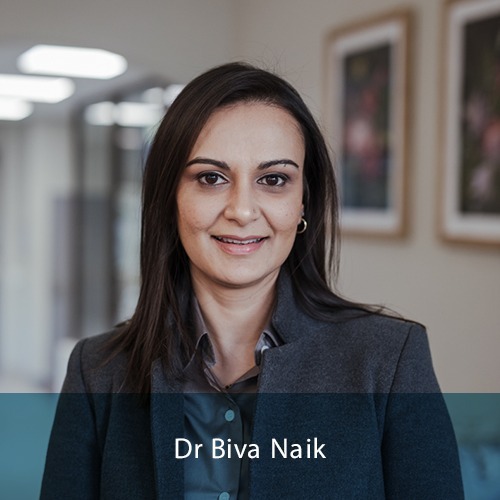 Dr Biva Naik works collaboratively with patients to help them discover, build and experience the kind of life they hope for. In therapeutic space, she works together with patients, to find alternatives to unwanted patterns of behaviours, thoughts, emotions and interpersonal relationships. Psychotherapy brings into focus what is important to patients, their desired future and their strengths and resources. Dr Biva Naik provides couple therapy such as pre-marital therapy, couples in distress, and divorcing couples and children. Through this, her expertise assists couples manage conflict, understand their attachment patterns and deepen intimacy.